Could robotaxis be the answer to electric car depreciation? I’ve been electric car shopping, but one thing has stood out as a big concern. Many electric cars are depreciating fast, and it may get even faster. I think part of this is due to the fact that electric cars are a bit more like electronics devices than they are cars. Electric cars will see major innovation in the next few years, as well as a decline in their price/performance of their batteries. This spells doom for their value. It’s akin to cell phones — your 2 year old cell phone still functions perfectly, but you dispose of it for a new one because of the pace of innovation. 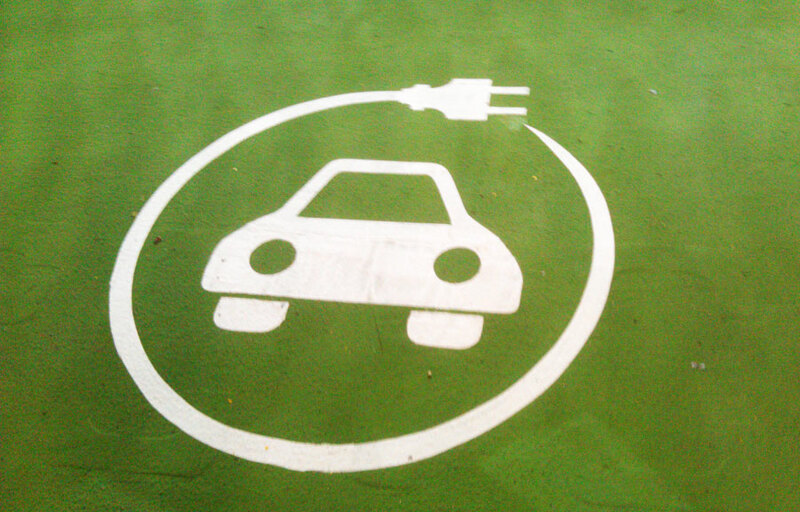 Electric cars are not at that pace, but they are skirting the phenomenon. When it comes to robocars, I remind people that the computer will be the most important part of the car — not the engine or other features. And the computer and software are on the Moore’s Law curve, like your phone. The battery system is not like this, but digital features are becoming more and more important parts of every car. The most obvious cause of the big depreciation is not related to the cars. In the US, there is a $7500 federal tax rebate on a new electric car, so the moment you drive it off the lot, its blue book value drops an additional $7500. In addition, different states offer credits from of up to $5,000, and unless you take the car out of state, that amount will also drop off the value. This is the primary culprit for the huge depreciation numbers, but there is more. The Leaf is the most popular electric car, and only it and the Tesla are real market cars from big players. The other cars are all “compliance” cars, made by companies who must meet quotas of green vehicles. The 2015 Leaf has a cited range around 80 miles, and users report a real range on the highway closer to 60 miles. For me, that means a car that can’t take me to San Francisco and back. The Leaf would handle a large fraction of my trips around Silicon Valley, but not being able to go to SF is a major detriment in this town. So I decided not to get a 2015 Leaf. They announced the Chevy Bolt, a $30K car (after rebate) with a 200 mile range. Finally a reasonably priced car with enough range. And them rumours circulated of a similar range in the 2017 Leaf. So why buy a 2016 car that can barely make it when something better is coming soon? Of course, in a year, something even more appealing than the Bolt will be announced. While the Bolt’s range is enough for 99% of my drives (leaving out only Lake Tahoe and road tripping) there is still much that can improve — other parts of the car, the electronics, and of course the battery pack getting even cheaper at that range. Every year, cars get a little bit better, but we’re in for a period of about 5 years in electric cars where each new year is a lot better, and that’s trouble for people trying to sell them if the customers figure that out. A cell phone is cheap enough to throw out after 2 years. A car is not. To top it off, in a few years the robocar features will start getting more serious (starting with the first no-supervision traffic jam assist) and so other parts of the car will also be on the Moore’s Law curve. Personal robocars have it harder. Your 4 year old personal vehicle is going to look like crap compared to the new ones. It will get software updates to match them (which is vital) but without hardware updates it will, like an old iPhone, no longer even be able to handle the software updates. If you buy a personal robocar, get one where it’s easy to swap out the hardware, and expect to pay the cost of this. Battery swap is an option on some electric cars, but that’s a big cost to pay over what you planned to pay. Older battery packs will still work, but deliver less range. Owners will salivate for new packs that are cheaper, lighter, fresher and possibly even higher capacity than what they have. That’s all good, but if you buy an electric car with a pack only good for 4 years at today’s prices, you’ve lost all the economies the electric car hopes to give you. Of course robocars, and especially robotaxis, can manage their batteries for much longer life. It might make sense to buy a 2012 Leaf for $8,000 and pay $5K to add a battery pack to it that’s brand-new, giving you a car close to matching a new one in certain ways. A lot of people are leasing electric cars. Leasing has one financial advantage (you pay sales tax only on the depreciation you take, rather than the whole car) and otherwise it’s a bad idea unless you’re sure the vendor has guessed badly on the residual value of the car after the lease. With electric cars, you take so much of the depreciation that the tax advantage is not so great. But many electric owners are leasing. The $2500 tax credit in California can often pay for the downpayment, making it easy to come up with the money, and owners are, with good reason, willing to let the vendor take the risk on battery decay and mega-depreciation. Vendors are not idiots, though, and so their residual values are low, but perhaps not low enough. Of course, if you know better cars are coming and are sure you only want the car for 2 years, leasing can ease your legwork. On the other hand, you can sometimes take over the lease of another electric car owner, letting them suffer the “due at signing” downpayment (which often exceeds all the monthly payments on a short lease) and giving you a car for a very short time, which might be a wise choice with all the new vehicles coming down the pipe.